The following is a listing of all the known Light Horse formations that were brought into being subsequent to the re-organisation of 1903. It details the unfolding of the service as part of the Militia in Australia until 1920. Included in this time period are the re-organisations of 1912 and 1918. All these changes altered the original disparate mounted formations in the states to something that was uniform and systematic, the aim of Federation in 1901. The transformations were massive in terms of that which existed prior to Federation. It is from this structure that the legends of the Light Horse during the Great War were wrought and have become an enduring part of Australian folk history. Without the Militia the Australian government could not raise and train the significant forces it did from 1914 to 1916 and then maintain this force in the field with a high level of efficiency. The Militia was the backbone of the AIF and yet remains the unsung area of Australian history. Names of officers attached to the Squadron. 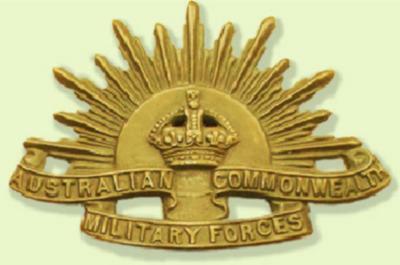 Previous or current war service. Next indicates the Regiment following in the series. Following this is a menu of items which invites the reader to examine further aspects of this particular Regiment in a specific sense or in more general terms. The aim is to present a comprehensive snap shot of the particular Regiment at a point in time. The accuracy of the information is dependent ultimately upon the information recorded in the various Government Gazettes and the Military Orders of the states and the Commonwealth.